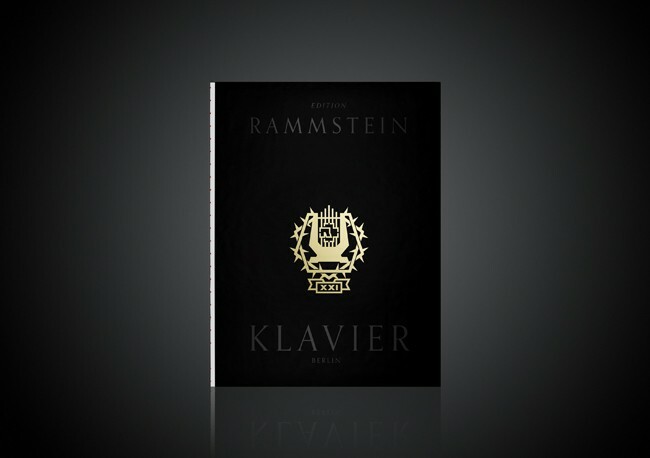 Rammstein announced via their official site the release of Klavier, a music book containing music sheets for 13 songs as piano arrangements taken from the band’s discography. This product includes an audio CD with piano arrangements for Frühling In Paris, Feuer Und Wasser, Nebel, Sonne, Klavier, Wilder Wein, Ohne Dich, Ein Lied, Roter Sand, Engel, Seemann, Donaukinder, Mein Herz Brennt. This music book will be released worldwide on December 18th, but the RammsteinShop will dispatch orders starting December 4th, 2 weeks before worldwide release.